This pair of ivory egg cosies make the perfect wedding gift. 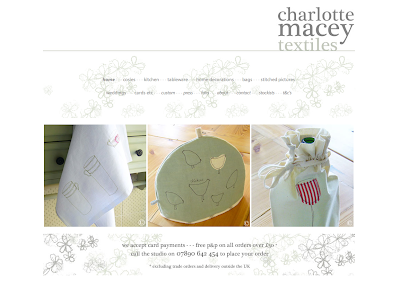 Made from beautiful ivory linen and individually handmade. 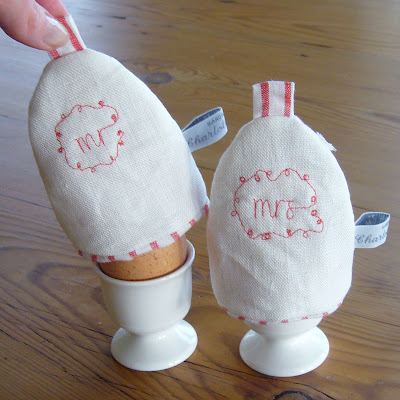 One stitched with 'Mr' and the other 'Mrs', these egg cosies make a quirky and unique wedding gift. Lined with red stripe linen and fully fleece-insulated, each cosy measures 8 x 10cm. These egg cosies can also be customised to feature the happy couple's married name. Charlotte also has Tea and coffee cosies, amongst many other lovely products. What a talented soul you got. Great creation! Thanks for sharing! With your post of picture about the wedding gift ideas it made me smile honestly. Your really great and no one can imitate your works.That's what I make it for sure.